Public Safety Minister Steven Blaney is calling on senators on the Senate's national security committee Monday to pass Bill C-51, the government's controversial anti-terror legislation, saying "there is no prosperity without security." 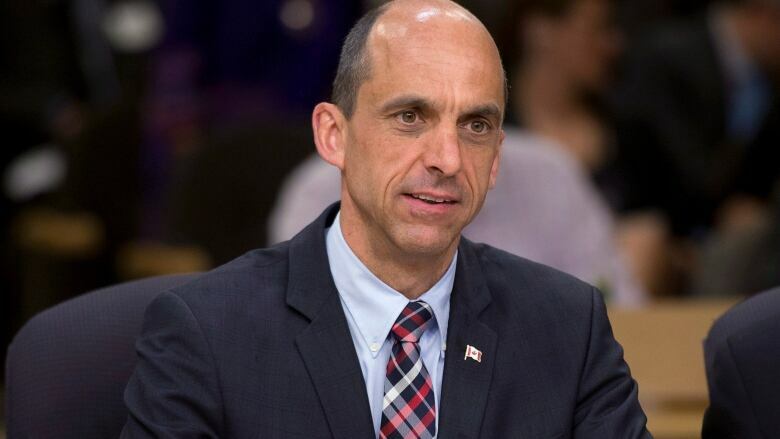 Public Safety Minister Steven Blaney testified before the Senate's national security committee Monday, calling on senators to pass Bill C-51, the government's controversial anti-terror legislation. "I am convinced more than ever that this bill is much needed," said Blaney, referencing the recent arrest of 10 Quebec teens allegedly leaving the country to join jihadists abroad. "I always said there is no liberty without security… now I am convinced there is no prosperity without security." 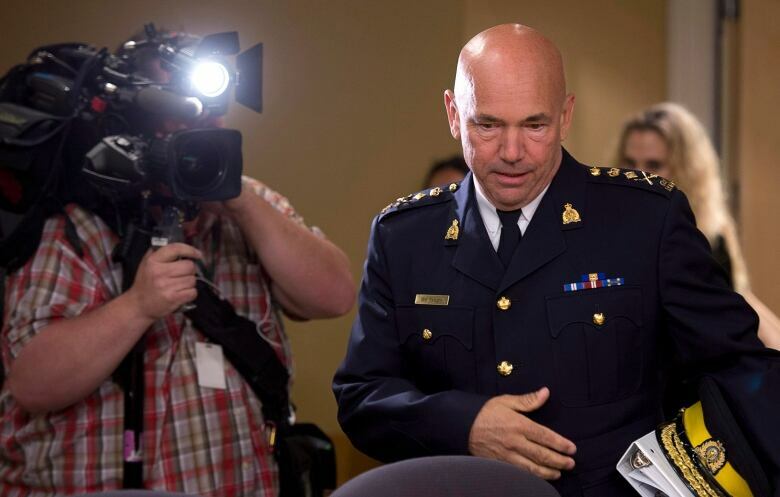 Blaney and more than 15 other witnesses, including RCMP Commissioner Bob Paulson, spoke before the committee at the four-hour long meeting Monday afternoon. Blaney told the senators the current anti-terror legislation is not as strong as it should be. He spoke about bureaucratic practices in place that impact the ability to transfer information quickly. "We need to be as swift and fluid and adaptable as [terrorists] are," he said. "We can not wait while terrorist plan their next strike." Several senators questioned Blaney on the use of technology in jihadist recruiting. Social media has been seen as a recruiting tool for jihadists. "We will be able to shut down websites because, why, because we are talking of radicalization," he said of the bill's powers. Blaney said he is also going to look into "pre-criminalization," in order to prevent individuals from further falling into terrorism. Blaney's testimony concluded with Conservative Senator David Wells asking him how important it was to pass the bill before the government's summer recess. Blaney told him it was necessary to have the tools from the bill in place as soon as possible in order to fight the growing threat. "This is a bill that is important to my heart," he said. "This is a bill I feel is important to the safety of this country." RCMP commissioner Paulson didn't speak much at the meeting and was only asked a few questions by senators. He told them one of his biggest concerns is individuals who go and train with jihadists and then return to Canada. He also told the committee that the OPP's report into the RCMP's response to the Parliament Hill shootings will be released either this week or next. Paulson also revealed that they will be releasing the remaining 18 seconds of the Parliament Hill shooter cellphone video in the coming weeks. Shooter Michael Zehaf-Bibeau recorded the video immediately before the fatal shooting. The RCMP already released 55 seconds of the video in March. Senators also spoke to officials with the Canada Revenue Agency, Foreign Affairs, Canada Border Services Agency and the Security Intelligence Review Committee. The officials spoke in favour of the legislation. The officials were questioned at length about the sharing of security information. Senator Joseph Day asked specifically about enabling more agencies to access personal income tax information of suspected terrorists. Bill C-51 would broaden the Canada Revenue Agency's ability to share taxpayer information with other agencies. It is currently restricted to sharing information about charities who are suspected of terrorist plots. Cathy Hawara, director-general of the CRA's charities directorate, said this would only occur on a case-by-case basis. "It's not going to be possible to come in and ask for a whole list of detailed information about taxpayers where it's not clear to us at all how this is related to the requesting organization's national security mandate," said Hawara. "Our responsibility is to protect taxpayer information." Dr. Bal Gupta, the chair of the Air India 182 Victims Families Association, said measures implemented in bill C-51 could have easily prevented the June 1985 bombing, which killed all 329 people aboard the plane. He said many other countries, like the United States and France, already have similar legislation in place to what is being proposed in C-51. "Canada has a responsibility not only to Canadians but also to nations worldwide that it will do all it can in the fight against evolving globalized terrorists," Gupta said. 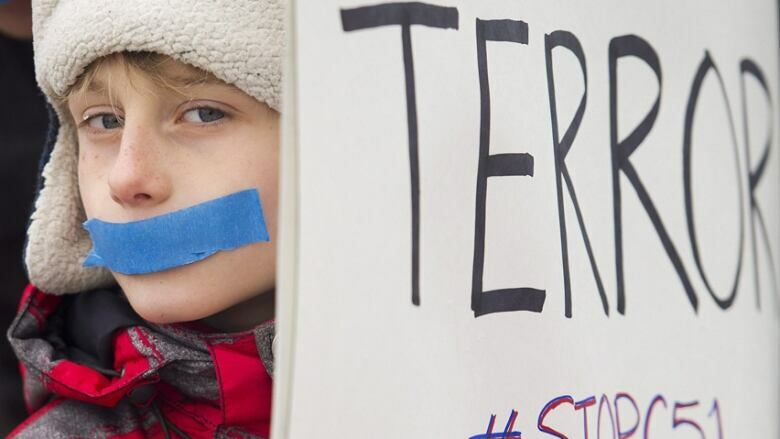 Bill C-51, also known as the Anti-Terrorism Act, is now with the Senate after easily passing its third reading in the House of Commons earlier this month. The legislation passed with the support of the Conservatives and the Liberals. Opponents have criticized the bill for the increased power it gives CSIS. The bill would empower the security service thwart suspected terror plots, rather than just gathering information, but critics say does not include expanded civilian oversight. It would also boost the transfer of federal security information and implement a new criminal offence for people who are encouraging others to carry out terrorist acts. Blaney briefly addressed addressed these criticisms in Monday's testimony, calling some of the criticisms ridiculous. "CSIS will not become a secret police force," he said. It's not the first time Blaney has testified to the Senate about C-51. He answered questions about the bill with Justice Minister Peter MacKay in late March during the Senate's pre-study of the legislation.